Summer is the time to travel and go on as many adventures as you can! Whether you’re traveling for work, or play, these 4 summer vacation outfits will ensure that you are traveling in both style and comfort. This outfit is modeled after my own travel look from this last weekend. This thin knit sweater offers the perfect amount of coverage for any car or plane ride. A/C;s can be blasting this time of year, so it’ll help prevent you from getting a chill. To tie this look together, I chose to pair it with these white scalloped shorts. They are the perfect shorts for the summer time and will balance out the ensemble. 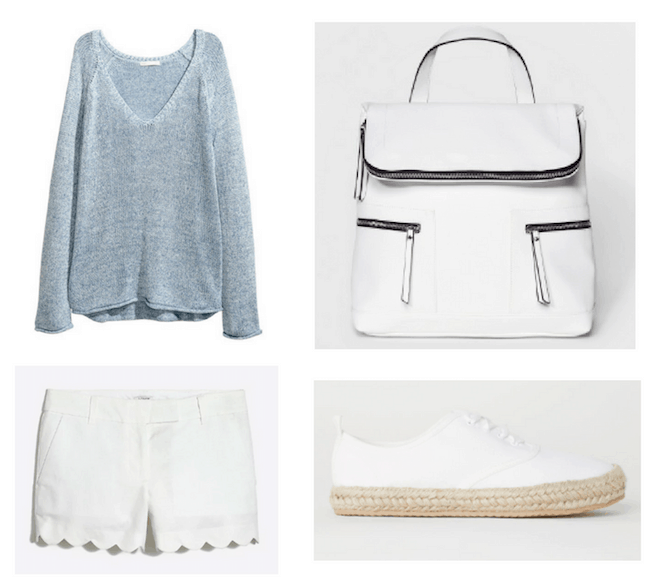 To accessorize, throw on a pair of espadrille sneakers (for comfort of course!) and grab your favorite backpack handbag. Backpack-style handbags are great for traveling on a plane because they can fit all the essentials you might need, while winning you major style points. This next look is a very casual outfit, perfect for any long days of travel. 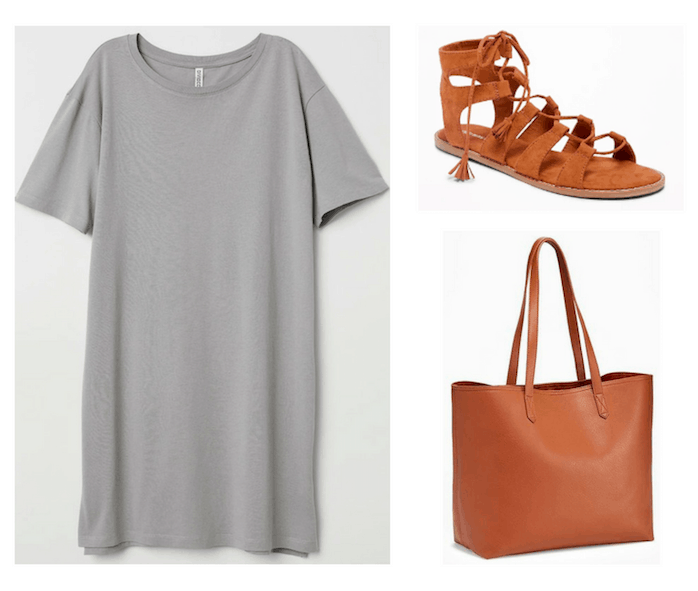 Whether you have a connecting flight or have a long cramped car ride, this look will be the most comfortable thing you can wear. The gray color of this dress makes it perfect to wear with literally anything else! Here, I styled it with other neutrals, but you can mix up the accessories to fit your own sense of style. I adore the cognac color of the bag and shoes — it’s a great color choice for summer and it’s a classic neutral tone. 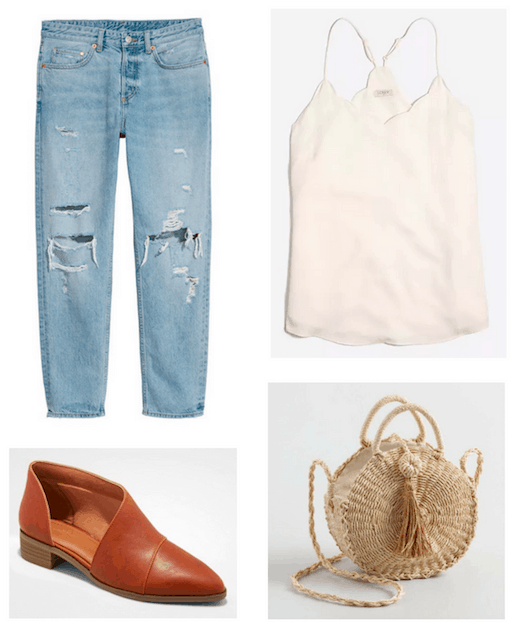 These lace-up sandals are great throw on and comfy to walk around in, while the tote is great for throwing in all your travel essentials and also being able to pack a spare change of clothes! This look is sophisticated as well as comfy, based around a knit jumpsuit that will allow you to look great while also feeling comfortable. 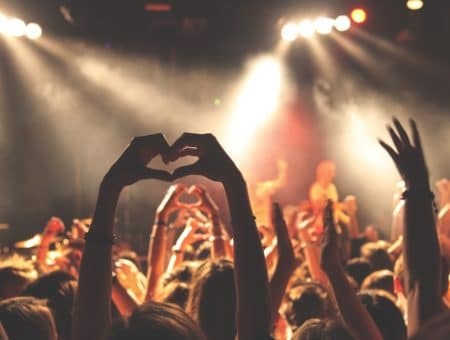 It’s perfect for any nights out you might have during your trip. While the jumpsuit is perfectly cute on its own, adding a belt to cinch in your waist will bring this look to the next level. The gold detailing on this belt makes it sophisticated and chic. Adding a pop (or two!) of color is one of my favorite style tips. 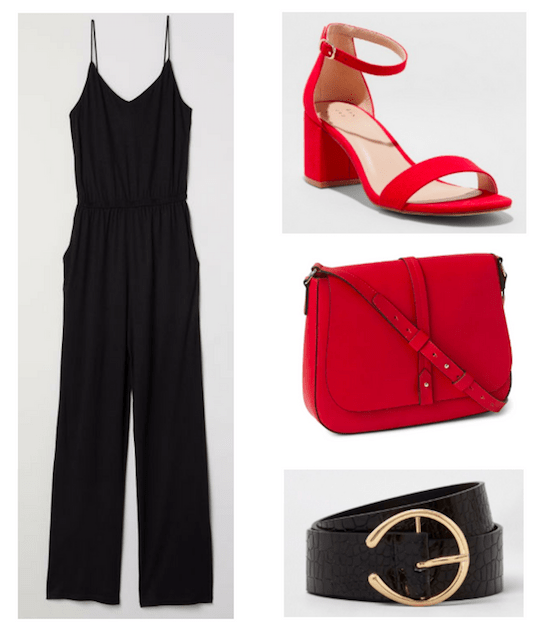 This pop of red in the crossbody bag and shoes draws in the eye and helps the outfit go from basic to stunning. These accessories are great if you have to go straight from the plane or car to a dinner out. 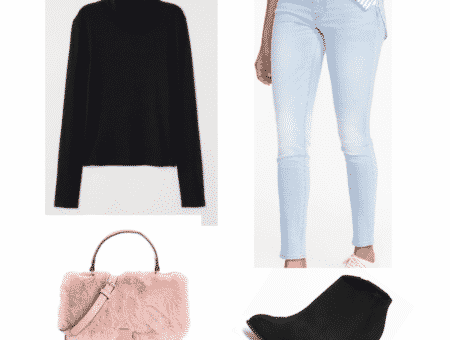 This last look is perfect for the fashionista who loves to “do it for the gram”! It’s very casual but also cute. The boyfriend jean trend is one of my favorites lately and these particular jeans might be the most perfect ones ever. I chose to add this cream colored scalloped tank to the jeans for a hint of girliness – such an adorable combo! Half-tuck the top into your jeans and you’ll look effortlessly cool. Woven bags are another hot trend this summer. They practically scream beach vibes and relaxation! This bag is great to keep all of your must-have items in while traveling and then switch over to sunscreen and sunglasses once you arrive. Finally, the cognac shoes are both sophisticated and laid back, the perfect match for this pretty look. Have a trip planned this summer and want to try one of these travel looks? Take a picture and tag us on Instagram (@collegefashion)!